High cone section. Outlet is 36” diameter. Includes a straight wall hinged access door. and eductor venturi air lock. 3. 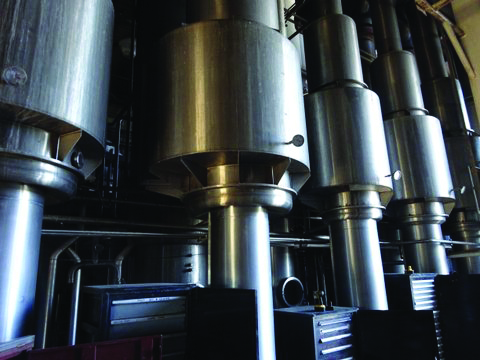 Two 304 stainless scrubber separators with access door and interconnecting ductwork. 5. One Twin City mild steel inlet air fan with 60 H.P. motor. 7. One 304 stainless vibrating fluid bed. Lazer screen is 39” wide x 26’-0” long ( 84 sqft). 8. One APV atomizing wheel with 75H.P. motor. 9. One lot 304 stainless interconnecting ductwork to tie in all pieces of equipment. 10. One lot powder conveying lines from the primary cyclones to the fluid bed using a 15H.P. And a 20H.P. 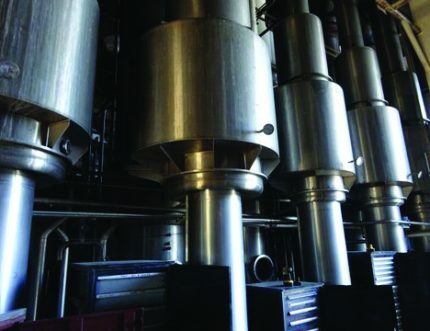 positive blower system with inline filters. Steel New York Blower fans with stainless inlet air filters. Includes interconnecting duct work. 12. Supply original layout drawings of the dryer system. 1. Seven 304 stainless calandria bodies with removable top covers and one bottom access hinged manway. Includes one 304 stainless vapor separator for each calandria. Each separator has a access manway. Also includes fittings for process and cip supply. Some piping is missing, and three calandria covers are missing. 2. (17) Seventeen centrifugal process pumps with water seals. Most pumps are Fristam. 5. One HTST tubular system with holding tube, steam tubular heater and Flow diversion valve assembly. 7. One 304 stainless falling film finisher system to take final product to 55% solids. Includes all centrifugal pumps, piping and condenser. 8. Equipment is already removed and pricing includes loading of equipment onto the customer trucks. 9. 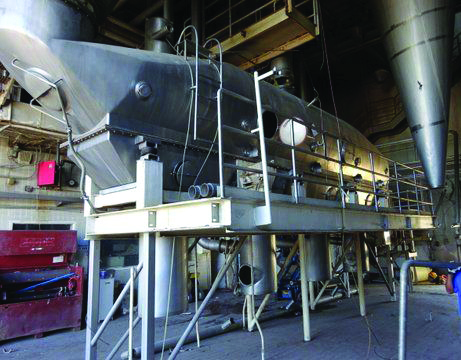 Harry Davis & Company will supply all existing blue prints and supply drawings on equipment pieces as they were removed so that the customer can reassemble the evaporator system. 10. All equipment is sold As Is, Where Is condition.